After the bulk of the interior wiring and cleanup was completed, Ryland went one step further in pest-proofing our home. As is with standard construction, typically the lumber in the frame that touches the foundation are pressure treated as well as chemical treated to guard against pests. Ryland Homes was kind enough to have pest control professionals spray every board surface in the entire house with anti-pest chemicals up to twenty-four inches. This added safeguard is a welcome process that adds some piece of mind. I would also highly advise you to get a annual pest control contract, it's relatively cheap! Just a few hundred bucks over what it would cost you to do it yourself. In the United States, around $1 billion is lost every year due to home damages directly related to pests, specifically termites. New Orleans alone accounts for about a third of the entire national total. To say that pest control is a huge industry may be an understatement. The demand for home pest control products and services is simply outrageous; and the race among providers for market share has never been tighter. In some ways, this is good for homeowners as this heavy competition results to lower costs. Likewise, this has led to the advancement and development of better pest baiting and colony elimination systems. If you are a new homeowner, you would definitely want to take steps to keep your home from contributing to the distasteful statistics. At present, the industry trend is to overwhelm and eradicate pests like termites instead of just implementing steps to repel them. The process applied to achieve this is called a colony elimination system or termite baiting system that involves the use of synthetic chemicals. This may change in the near future with the recent discovery of a type of mold that is potent enough to kill termites. A new bio-pesticide is being developed that is expected to kill 100% of the termites it comes in contact with in as little as 7 days. It can be said that among all house pets, termites get significant attention. Aside from the development and introduction of new products, the existing ones are constantly being improved. For your new home, it is best to contact a professional to make sure that termite baiting products are properly applied. Some of the applications require regular monitoring and if not done right, new colonies may form quickly. Experienced and innovative professional pest control providers can devise a way for you to know when it is time to call them back. After all, it costs to bring pros in just to check on the treatment stations or applications that are underground. You will know if termites have come once they start to gnaw at the baits that are strategically placed inside the stations. It is then time to call for help. One type of bait used is a plain spring-loaded contraption that will pop up as soon as your "house guests" have partaken a sufficient amount of the wood bait treated with poison. This will trigger a warning system (in some cases, a flag pops up) to alert you about the presence of termites. The more advanced pest control companies are experimenting on the deployment of radio-controlled devices for the same purpose. The electronic device will send the termite warning signals directly to the service provider who will then have a technician physically confirm the presence of pests. The new pest treatment systems that are currently gaining in popularity over the conventional methods are getting both rave reviews and criticisms. Some are found to be effective while others are not. This is what makes some of the new homeowners stick to the proven barrier systems. After all, the traditional method has been known to work for new homes particularly those that are still being built. Just make sure that the area in and around the backfill soil are injected with the barrier chemicals during the construction stage, and the soil underneath the slabs is chemically treated as well. Because of the amount of drilling that may be required, it would be a lot more expensive to treat an existing house. 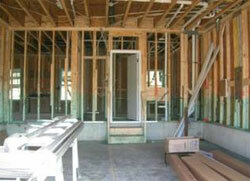 It is imperative that houses being built in areas with termite problems are pre-treated. It is also important that you talk to the service provider yourself to ensure that proper application of the chemicals is done. Make sure that immediately after application, the treatments are covered with soil or concrete. This is because most treatment chemicals are sensitive to light and will quickly degrade if exposed for a long period of time.